Join the conversation with one of sociology’s best-known thinkers. The Second Edition of Introduction to Sociology, thoroughly revised and updated, continues to show students the relevance of the introductory sociology course to their lives. 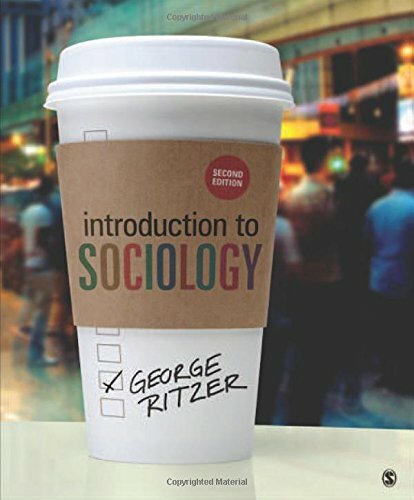 While providing a rock-solid foundation, George Ritzer illuminates traditional sociological concepts and theories, as well as some of the most compelling contemporary social phenomena: globalization, consumer culture, the Internet, and the "McDonaldization" of society. As technology flattens the globe, students are challenged to apply a sociological perspective to their world, and to see how "public" sociologists are engaging with the critical issues of today. George Ritzer is Distinguished University Professor at the University of Maryland, where he has also been a Distinguished Scholar-Teacher and won a Teaching Excellence Award. He was awarded the Distinguished Contributions to Teaching Award by the American Sociological Association, an honorary doctorate from LaTrobe University in Australia, and the Robin Williams Lectureship from the Eastern Sociological Society. His best-known work, The McDonaldization of Society (8th ed. ), has been read by hundreds of thousands of students over two decades and translated into over a dozen languages. Ritzer is also the editor of McDonaldization: The Reader; and author of other works of critical sociology related to the McDonaldization thesis, including Enchanting a Disenchanted World, The Globalization of Nothing, Expressing America: A Critique of the Global Credit Card Society, as well as a series best-selling social theory textbooks and Globalization: A Basic Text. He is the Editor of the Encyclopedia of Social Theory (2 vols. ), the Encyclopedia of Sociology (11 vols. ; 2nd edition forthcoming), the Encyclopedia of Globalization (5 vols. ), and is Founding Editor of the Journal of Consumer Culture. In 2016 he will publish the second edition of Essentials of Sociology with SAGE.